Sometimes it's easy to forget that Long Island and New York City make up only a tiny fraction of the state we call home. Sure, the city has impressive views and lovely parks and Long Island's got some great beaches, but its the rest of New York that will take your breath away. Head north for incredible mountain ranges; west for spectacular waterfalls and gorges; east for bluffs overlooking the ocean. We have glaciers (and thousands of years) to thank for stunning landscapes just hours away by car, bus or train. Pick a spot and go explore! Over the course of just two miles, the stream in Watkins Glen State Park descends 400 feet past 200-foot cliffs, creating 19 waterfalls. Enjoy fairly easy hikes through the gorge, under waterfalls and over rock bridges. 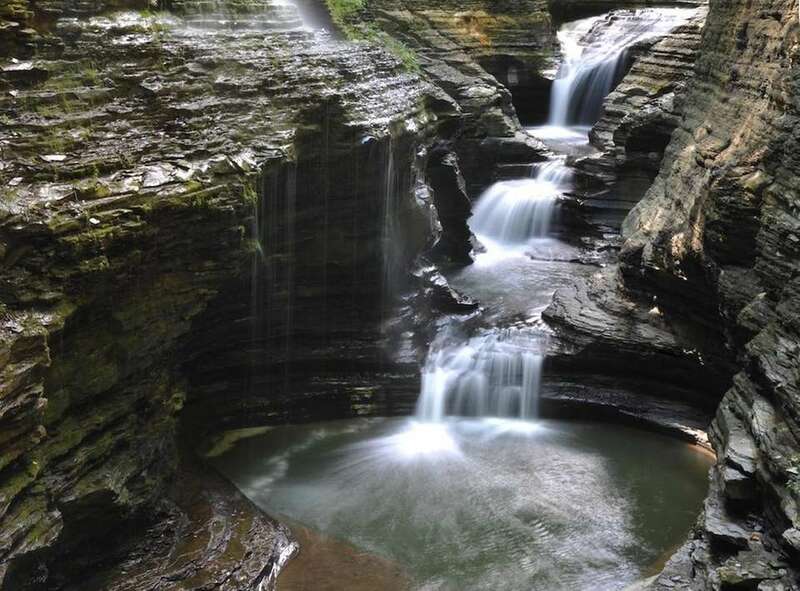 The park is near Watkins Glen in the Finger Lakes Region. These breathtaking pinnacles and cliffs on the shore of Lake Ontario were formed thousands of years ago by glaciers. Some parts of the bluffs tower 150 feet over the lake. The highest point is in the northeast park of the park. 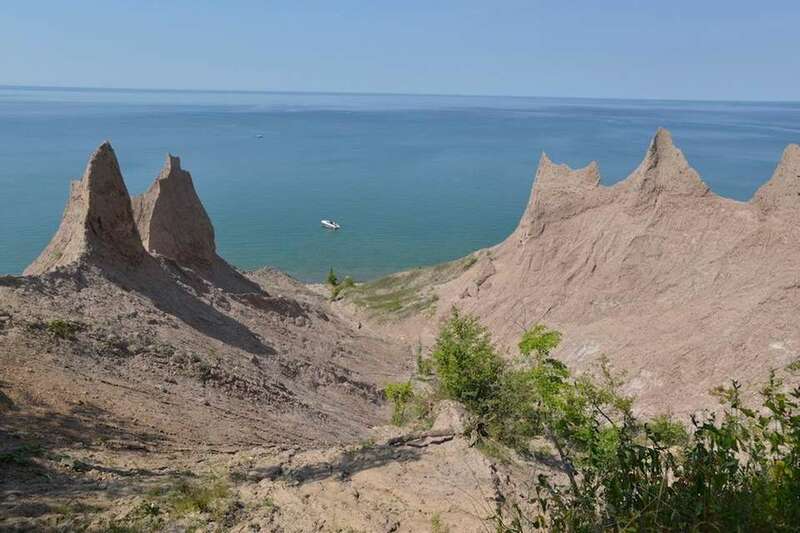 Chimney Bluffs State Park is in the town of Huron, east of Rochester. Some refer to Letchworth State Park as the "Grand Canyon of the East." The Genesee River cuts through the land and over three massive waterfalls, creating a deep gorge with cliffs nearly 600 feet high. The park is less than an hour southwest of Rochester. 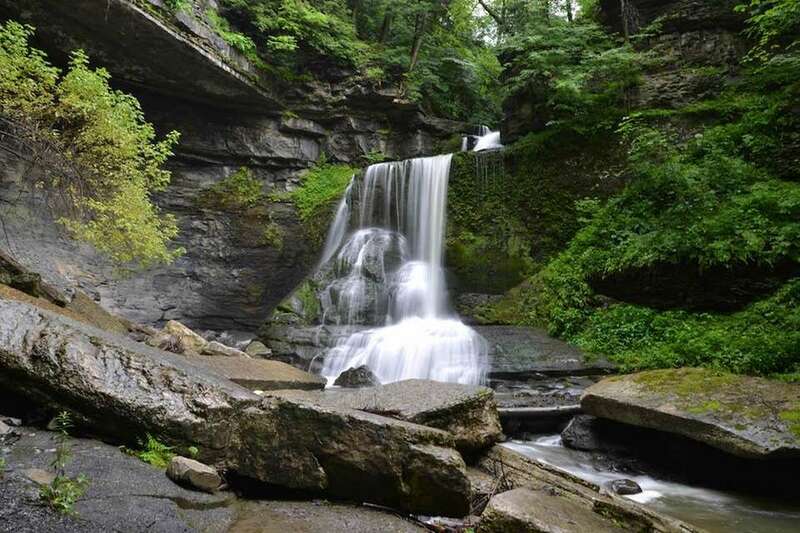 Hope you aren't sick of stunning gorges and waterfalls yet, because you'll find more in Fillmore Glen State Park. Visit in the warm months to take advantage of the natural swimming pool. The park is about 30 minutes northeast of Ithaca. If you're looking for spectacular views, it's hard to beat Bear Mountain State Park. Visit in the winter for cross-country skiing and an outdoor ice skating rink. 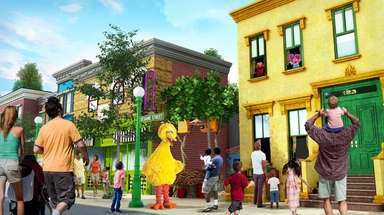 The park is less than an hour north of Manhattan by car, on the west side of the Hudson River. 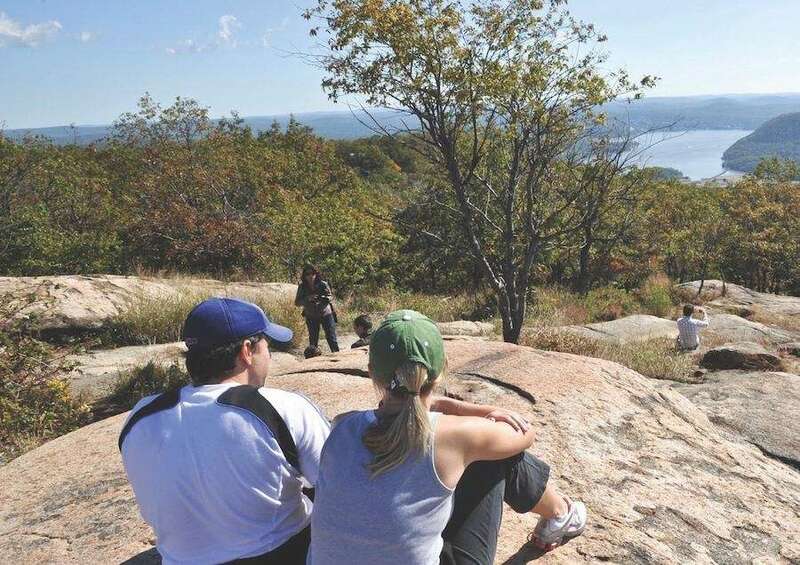 A short hike in this small park will lead you to bluffs overlooking the South Shore of eastern Long Island and beautiful views of the Atlantic. Shadmoor State Park is just one quarter-mile east of Montauk Village. Check out nysparks.com/parks/16 for more info. OK, these waterfalls are technically in Massachusetts. 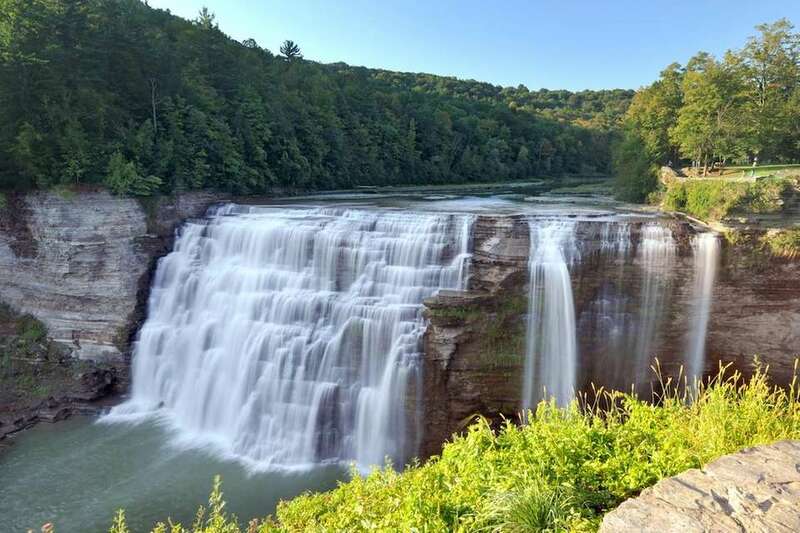 But as they're right over the border and accessible from New York's Taconic State Park, we just couldn't leave these shared beauties off the list. 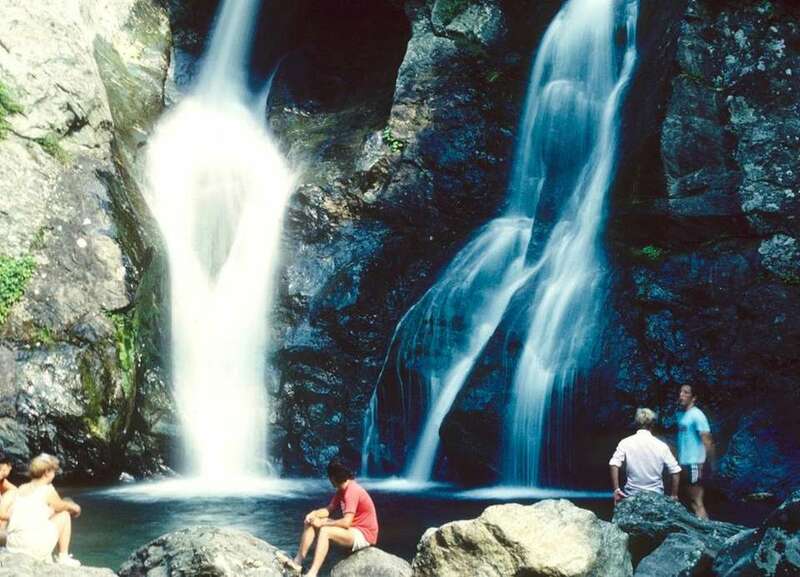 Park your car in the lower lot, on Route 344 in Taconic State Park, and take the easy hike over the border to the 60-foot falls, which empty into a beautiful green pool. More experienced hikers may consider the blue trail, which leads to a stunning summit above the falls (great views of New York!). But be cautious -- the area is small and wet, with jagged rocks and the potential for falls. 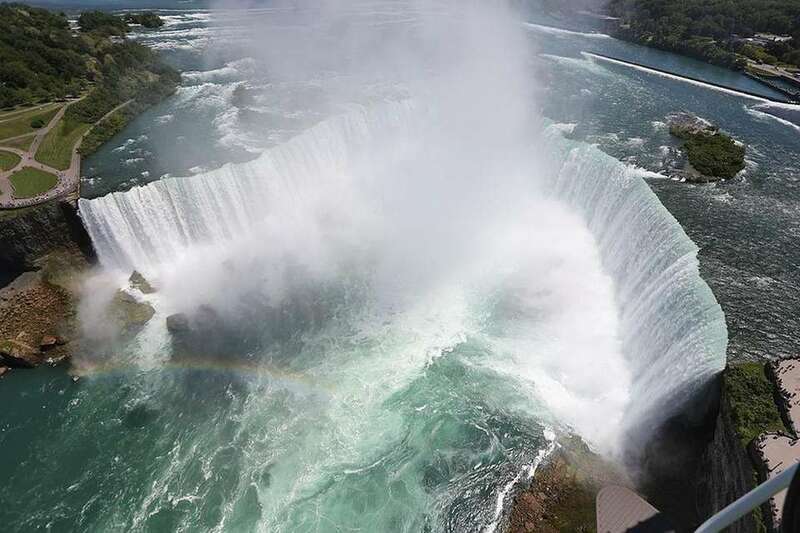 Straddling the border between the U.S. and Canada, Niagara Falls actually consists of three waterfalls: Horseshoe, American and Bridal Veil. While not quite as tall as some other falls around the world, it's the volume of water that makes these drops so spectacular. More than 6 million cubic feet of water per minute flow over the crests at peak time. Take advantage of the trip way up here (about 400 miles from Manhattan) and explore nearby Buffalo. 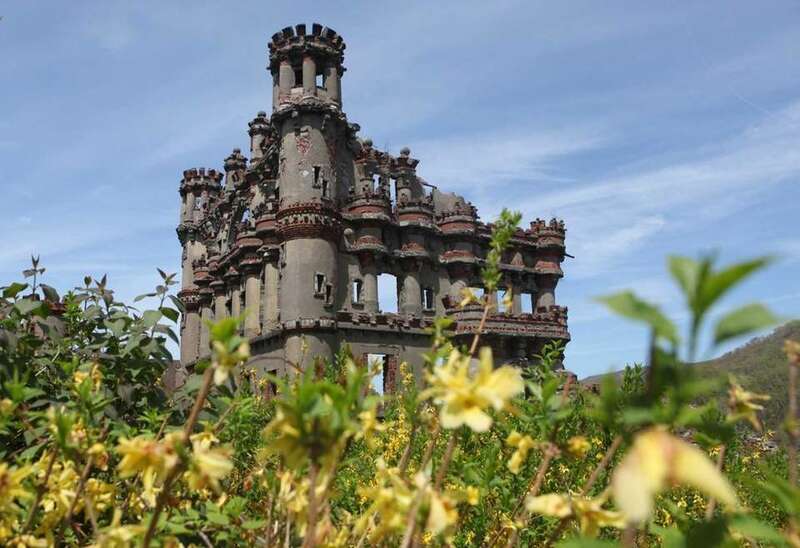 The crumbling remains of Bannerman Castle are situated on Pollepel Island, commonly known as Bannerman Island, in the Hudson River near Beacon and Newburgh. The castle, which is mostly ruins, is the property of the New York State Office of Parks, Recreation and Historic Preservation. Lake Placid offers a bevy of winter sports that everyone can participate in, such as skating on the rink where Sonja Henie won a gold medal in the 1932 Winter Olympics. During the winter, you can also go on a dogsled ride across Mirror Lake or ride down the toboggan chute, a 60-foot-tall reclaimed and recycled ski jump that also descends to Mirror Lake. 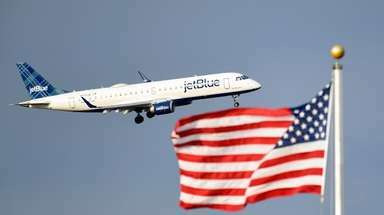 But Lake Placid isn't only a winter destination. There are hundreds of hiking trails, plus rock climbing, whitewater rafting and fishing. Stonecrop Gardens in Cold Spring served as a private garden for Anne and Frank Cabot until 1992. 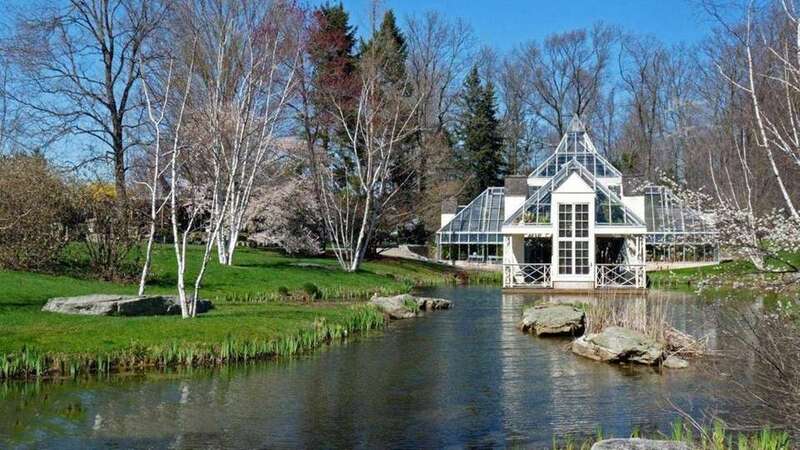 Set on a windswept elevation of 1,100 feet in the Hudson Highlands, these public gardens span about 12 acres and feature woodland and water gardens, raised alpine stone beds, cliff rock gardens and an enclosed, English-style flower garden. With nearly 100 peaks at more than 3,000 feet high, Ulster County's Catskills are true mountains. Just about everywhere you go in the sparsely populated four-county area -- especially the 287,500-acre Catskill Forest Preserve -- yields a collage of yellows, oranges and reds. For continuous scenic views, it's hard to beat a trip to Giant Ledge in Shandaken and Panther Mountain. In this area, autumn colors peak in late September into early October. 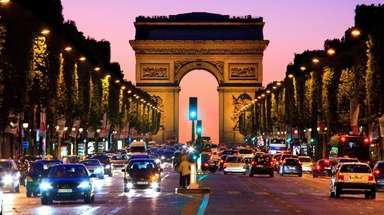 Places every kid must see in U.S.